This app was honestly worth the money spent. I bought it several years ago when it first came out, and after quite a bit of time, I decided to play it again. If there’s only one thing that I can say about this, it’s that the game is replayable. Of course, it’s not one of those repetitive puzzle games that you can play for hours, like block escape; the levels are unique and complex enough to warrant several playthroughs before it could even begin to become predictable. Truly this game is beautiful and makes you think outside the box. The expansion puzzles do this even more so. A masterpiece! I bought the sequel the second I knew it was released. This is the best app ever. It really challenges you. I just wish they would make more. A lot more. I got finished and didn't want to stop but I had no choice. 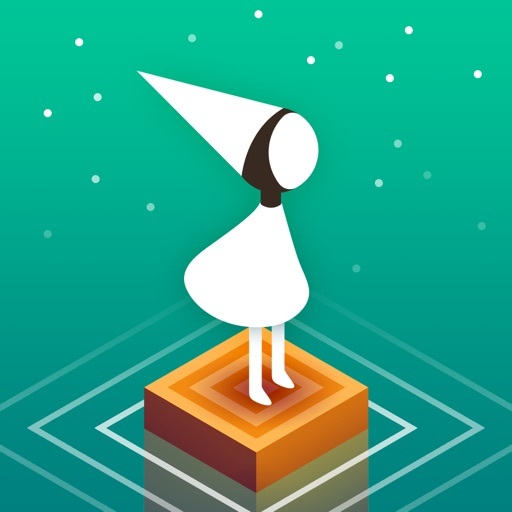 Please make more Monument Valley!!!! **Cont. Now I’ve done MV2. Too quickly. That was when it first came out what is it two years ago? So I was hoping a MV3 was out now. Nope. So I did 2 again. Too quickly. And now MV. It’s crashing. It needs to stop crashing and it’s time for an MV3. Please make it have a lot more levels and make them more challenging. Not ridiculously difficult, but challenging, so it takes some real time to get through it’s too fast it’s too easy. I just love this game! I first saw it on a TV show and thought what was that game then I searched and found it. I love it my kids like be it. The art is amazing and it makes you think. I have gone back and redid some levels and got stuck and had to figure it out all over again.